As I’m always up for a challenge, I’ve done many different things. A prior example to that is of course, creating this blog, with all the reviews, and coding. But as some of you know, I also try to translate Japanese for myself. I don’t consider it bad, you might want to take a look at some. But really, it’s not much, but you’ll never learn when you don’t try. Considering the fact that I’m don’t have too much time either. Off-topic: You see a Youtube video embedded here, and an audio link. What do you prefer, music only or video? I don’t really know Japanese any higher than JLPT 3, but I have learnt most of the grammar, since that’s one of the most essential things you need when you’re going to translate. Words are just a matter of a dictionary then. Of course there are times when I don’t know what to translate some words into. Fortunately I have my Japanese companions who can help me out whenever I’m in trouble with Kanji. This is my first try at translating a chapter. 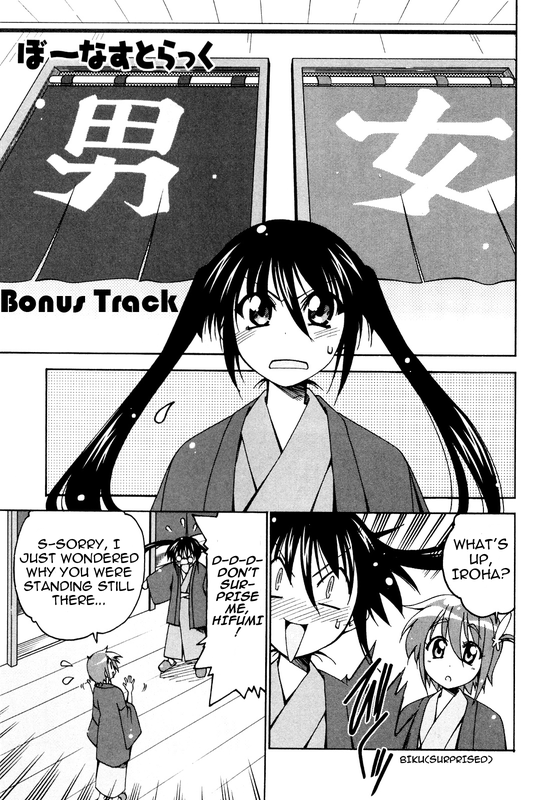 The reason why I translated this specific chapter, is because it was a bonus chapter, thus it wasn’t that long. Second, it was released 2 weeks ago, but apparently the usual scanlators totally forgot about it, so I tried to take it over. Finally, because the raws were already in excellent condition, I only had to remove the text and replace it with mine. Of course I’ve learnt some things here and there while translating this chapter. For example, I noticed that I might have used a too large font, even though it’s Anime Ace 2.0 BB. This translation got lost in scanlating hell. I still have my script here and I’ve sent it to the scanlator, but I lost contact with that dude. I guess it’s up to me to work with Photoshop once again later, but who knows. Another manga I might be picking up is Koibana Onsen. This manga is actually behind with 40 chapters, so I think they’ll appreciate the offer when I come to help. Video editing is one of my hobbies, although what I’m doing isn’t really that hard. The one is ripping all the openings and endings I like from the anime I watch. For example, watching K-ON! resulted in me ripping the OP and the ED in .avi format. It’s around the 300 now, and still counting, just ask for a specific OP/ED and I’ll see if I have it or not. Aside that, I also tried to create Karaoke in a vid once. However, it got dropped fast, but when I’m in the anime mood again, I’m sure I will pick it up again. I think you can remember that I wrote about LAKS once before. I decided that the name will be changed to LCA now though. Maybe you can guess it, but it’s Lol Comma Anime now. Zoho Sheet. Without Office installed, you can just view it perfectly in your own browser, without any flaws. I can also update it whenever I want to, a very useful application. See the box.net widget in the sidebar. You can practically download it in a second. Not for online viewing though, so you’ll need Excel or something like that. The converted .xls to .htm file on my webpage, that can be found here. An alternative if others don’t work for you. I’m not too active with my own domain though. Thanks to school, I’ve been into making homepages a lot lately, so the result is that I create my own site. Nothing more to say here though, I’d best refer you to my post about it, just click on the header Programming above. Oh and don’t mind the video in that article, it’s just for hilarity ensured. video is good, if you have a nice vid… if you only have a nice song, but no good video that comes with it, post only music, cuz the vid will be disturbing.